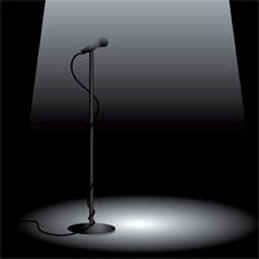 As an introvert, I have come to see spotlights – times speaking in public – as unexpected sources of energy. Yes, I still thoroughly enjoy days away from the crowds, schedules free of appointments and the time and space to research, analyze, and create in isolation. But I must admit there are huge benefits for us to seek the spotlight, even us introverts. And these benefits are humbling. But a quick survey is important – who are you? Are you an introvert? If so, chances are good you fit one of a few different types. You could be thoroughly invested in a few subjects of importance, deeply researching them, tightly invested in experiencing them, and even full of understanding that subject matter. If so, you are a critical resource to audience groups. Perhaps you write to share your knowledge. Yet if you were to speak, you’d have a huge following. People want to HEAR from experts. You may be the type who are more focused on people than tasks. If this is true, you appreciate good energy, poignant moments that move your spirit and demonstrate good will. If that is the case, you are moved by and interested in strategies of influence. As you develop that skill, you grow in creating a buzz because your audiences make an emotional connection with you, support you, and love you. People want to HEAR from someone who moves them. Or are you simply interested in what all the hype about public speaking is? Maybe you have heard that the number one way to build business is through speaking. Direct mail, email, blogging and online networking fills a need, yet their passive nature limits results. Read on to discover, whoever you are, the 7 benefits of being in the spotlight. And let me know your feedback at the end of this post. 7. You get to begin a new relationship with people. When we step in front of an audience, we open the connection to the world around us in such a profound way. Our audience gets to experience our energy – how we demonstrate passion for ideas and compassion for others. (a concept Dan Rockwell has blogged about through an interview with Apple’s Jay Elliot). Our audience gets a head and a gut feeling about us, that even if the content doesn’t lead them to seek us out, their experience does. Regardless, we remain top of mind to them. What a tremendous opportunity! 6. You get to reveal your communication style. Quite frankly, we connect naturally to those who communicate the way we do. Whether as a humourist, a cynic, a nurturer, an analyst, or whatever the style, people’s ears perk up when they connect to their own style. Within every audience there are 10%-34% who will align with your style, solely based on how you communicate. This helps people like you. 5. You make your value visible. Whether you represent an organization or yourself, you become the visible example. The more often you are visible, the more your brand is visible. Your name becomes synonomous with what you are expert in, yet your FACE gets immediate recognition. You will bring your value top of mind to your audience every time they look at you. They relive that value, and I get to walk away aware of my value from their point of view. 4. You prove your credibility. I have a pet-pieve about speakers who don’t know when to shut up, or seem to glory in their own voice, or in how great they are. Yet your willingness to share useful insight, to offer some tips, to compare ideas metaphorically for new perspective is a gift you bring to your world of listeners. Your willingness to share something of value, and your doing it in ways most appropriate to the audience motivates people to not only like you, but to respect and perhaps trust you. 3. You get immediate feedback. When audience members like, respect and trust you, they clamber to their feet before you leave the presentation room because of something you’ve motivated them in. They ask further questions, revealing what is most of interest/need to them. They give you their business card, and they are basically saying, “call me”. As speakers we have just weeded out the not-yet-interested and identified those who are. We know who to follow up with – or at least who to start with. 2. You get in front of many people in a short amount of time. Speaking lengths can be 60 minutes, 20 minutes and even just 10 minutes. It doesn’t take an engineer to state that good use of the time can be a sales person’s dream. What usually takes 60 – 90 minutes with any given prospect, slowing down the number of appts in a week, can instead boost the sales ratio while committing less time to more people! 1. You have the chance at the end of your talk to suggest Next Steps. I was just in a teleseminar with Carrie Wilkerson yesterday who talks about Wanting the client, Wooing the client and Winning the client. The end of a well-constructed talk, one that engages curiousity and action, is the appropriate time to suggest a way for your audience to have more than just a taste of what they have already enjoyed. This is the time to move from the wanting and the wooing, to the winning. It’s not about creating a hard sell. It’s about helping your audience know their options. Which of these benefits work for you? For me, they all work. As a sole proprietor, I know I must make good use of my time, so it’s important for me to make public speaking a crucial part of my marketing strategy. Want to know more about public speaking, and how you can make the best use of it? Maybe you have an interest in my Get Up and Go! small group public speaking course which lets professionals develop their skills and be an audience for each other in the process. They not only gain ability, they network and grow into referral partners. The course description is below. Want a strong business, a clear and focused message, a chance to gain credibility? Let your voice be heard. And let others benefit as well. This is better than just content – mental and physical support and practice! Getting real about the constant voice in our head, identifying the source, shifting our focus to 3 attitudes that move us forward and remembering/using the talents we sometimes overlook. There will be on-your-feet practice time. Session 3 – Hone the Message Our objectives in this day include planning the focus and scope of the content to share, preparing the strategy and frame of mind, then practicing on our feet. Once we get the content and strategy focused, we must be intentional about how we deliver the message. Here we experience with energy, articulation, language and other design elements. Practice included. Become aware of the 4 communication styles, which style pattern has limited you, and how to break down the connection barrier with people no matter which style they use. On-your-feet practice. Tips in audio and body language projection, practice in the tips, and time to demonstrate overall growth in all areas while speaking. By session end, participants could leave ready to speak with confidence while motivated to further key relationship development for personal credibility and business development. https://bdbcommunication.com/Services.htm Scroll down this page to Register.